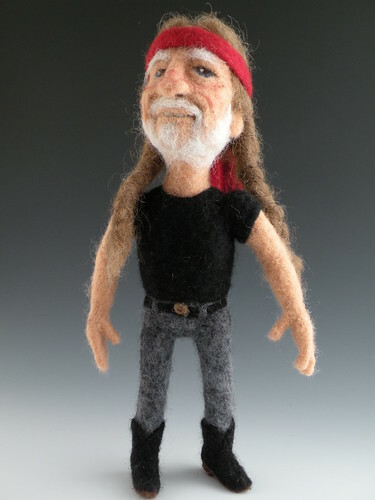 Willie is about 12" tall and is 100% Needle Felted Wool. 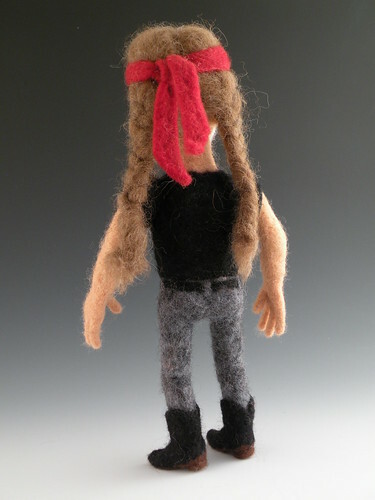 His hair is a blend of Alpaca and Icelandic Wool. Like all my characters, I start with a basic body structure using what I call "core wool" which is basically wool batting that has not been dyed. The outer layers of the skin and clothing are made with Norwegian C1 Felting Batts. 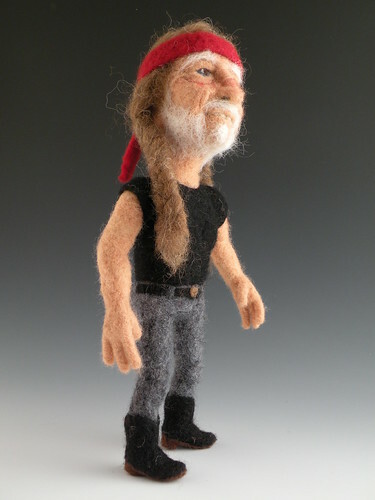 Willie was a wonderful, fun challenge for me - and he stands on his own! 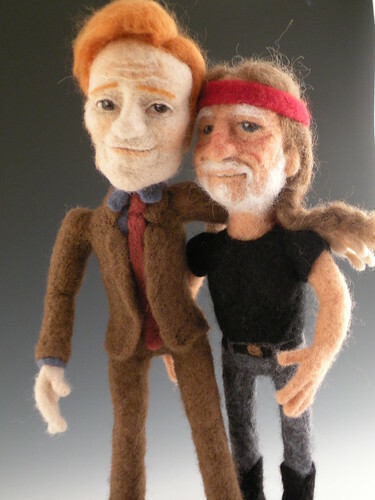 Here is Willie with his buddy, Conan O'Brien!